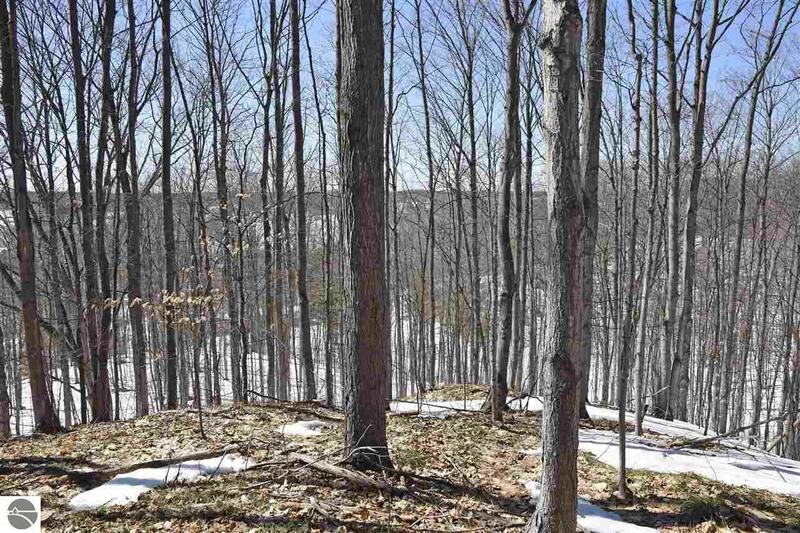 Build your dream home on 5+ acres of private woodlands on Traverse City's west side on Shade Tree Lane. Tucked between N. Long Lake Rd. and Cedar Run, this property is a mere 5.5 miles from downtown Traverse City but feels a world away with its dense tree cover and rolling terrain. This large plot includes a natural build site just above Shade Tree Lane (highlighted in the image with a wooden bench in view), but features a tall peak that offers a perspective on the forested areas west of the lot. Enjoy easy access to nearby schools and convenient shopping: West Senior High, Long Lake elementary, Moomer's Ice Cream and Fieldstone Deli are only minutes away.